Day Care vs. Church PreK vs. MPCS Preschool? Inside the quaint and cozy Sewell Cottage at Mount Paran Christian School, the preschool staff works enthusiastically to provide an exemplary instructional program which sets MPCS students up for success as they advance to kindergarten. 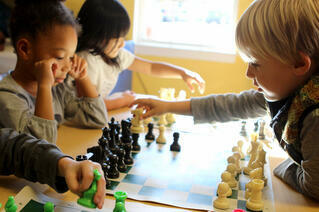 We are often asked how MPCS preschool differs from other early-childhood programs offered in the community. Students at the MPCS preschool are met with warm greetings and hugs to begin every single day. The morning is filled with reminders of God’s love for each child through songs, Bible verses, and lessons. Whether in art or science, lessons of God’s handiwork and love for His creation are evident. Children feel safe and learn in an environment where undconditional love is felt and mistakes are welcomed as a part of growing up. Parents can be confident that when their child is at school, they are well cared for and deeply cherished. MPCS teachers nurture the social and emotional needs of each one of our young students. If you visit the Sewell Cottage, there is no doubt you will feel the difference immediately as you observe the interaction and engagement in the classrooms. We are confident that MPCS preschool provides a loving environment and a solid spiritual foundation while ensuring the age-appropriate academic rigor and self-confidence needed for the student’s academic success. Below we have listed the comparisons and identified distinguishing academic differences between the MPCS preschool and other pre-kindergarten programs. QUALIFIED – Make sure to ask if teachers are truly qualified, meaning they have not only received training, but are state-certified AND hold degrees in their specific field. Check for national accreditations. CERTIFIED – All MPCS teachers hold current teaching certificates in Early Childhood and/or Elementary Education. Several teachers hold advanced degrees and are gifted-certified. MPCS is also fully accredited by SAIS, SACS, and AdvancED. VARYING CLASS SIZE – What is the student-teacher ratio? While some morning programs do offer small classes, others may fill classrooms with student-teacher ratios that range from 12:1 up to 22:1. SMALL CLASSES – Our student-teacher ratio is 7:1 or less with a full-time teacher and paraprofessional in each class. 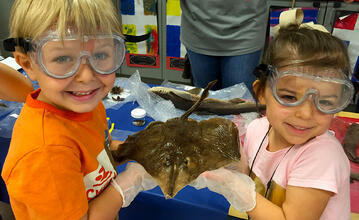 Curriculum is expanded through exploratory classes (ex. art, Spanish, technology) taught by teachers certified in those content areas. TURNOVER / JOB MENTALITY – Does the school offer staff competitive wages to ensure teacher dedication? Low job satisfaction or pay may result in high turnover causing students having multiple teachers during any given school year creating inconsistency and uncertainty in children. Personal investment in the individual child could be lost. CAREER TEACHERS / LOW TURNOVER – Our current average length of service is ten years for our teachers in the Sewell Cottage. Focused on their life-long passion, teachers strive to excel in their early-childhood educational careers. It is their calling to be invested in student success and well-being. MORE THAN CHILD CARE - Does the center use a proven curriculum? Curriculum is sometimes developed by the center with little opportunity to differentiate instruction for the various levels of learners in the classroom. There is limited or no partnership with the child’s future elementary school to provide academic alignment and ensure readiness. INSTRUCTIONAL PURPOSE - Research-based with purposeful play, activities are strategically designed for appropriate child development and challenge for kindergarten readiness. Teachers meet regularly with kindergarten teachers to plan and prepare students for this next step. 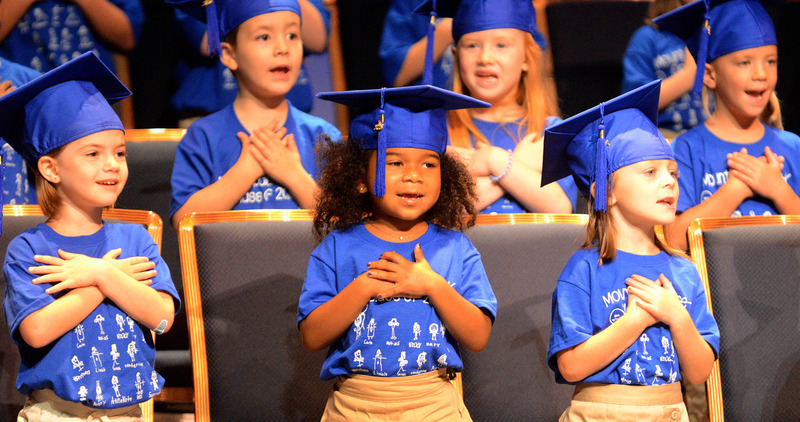 MPCS preschool "graduates" move on with a higher level of confidence and academic readiness (see stats below). COMMUNICATION – Teachers report the day’s activities through phone apps and computer generated reports. Behavior is sometimes managed rather than working through and developing a child's moral character. How Does MPCS Stack Up? Within the preschool classroom, every activity is intentionally planned to accomplish readiness goals. Utilizing degreed and Georgia-certified teaching staff, research-based best practices are implemented. Small student-teacher ratios allow individual enrichment for both the emerging and beginning reader. The best predictors for how well students read in later years are phonemic awareness and letter knowledge (Share et al 1984). For this reason, literacy skills are intentionally fostered through whole group and small group instructions. Through on-going formative classroom assessments, as well as quarterly summative evaluations, there is documented evidence that preschoolers enrolled in the MPCS preschool demonstrate a higher level of kindergarten readiness than students entering kindergarten from other programs. Our preschool program incorporates a total-child educational approach to achieve kindergarten readiness skills. Through research on child development, teachers incorporate activities which allow for maximum skill development. Technology classes enrich academic development. 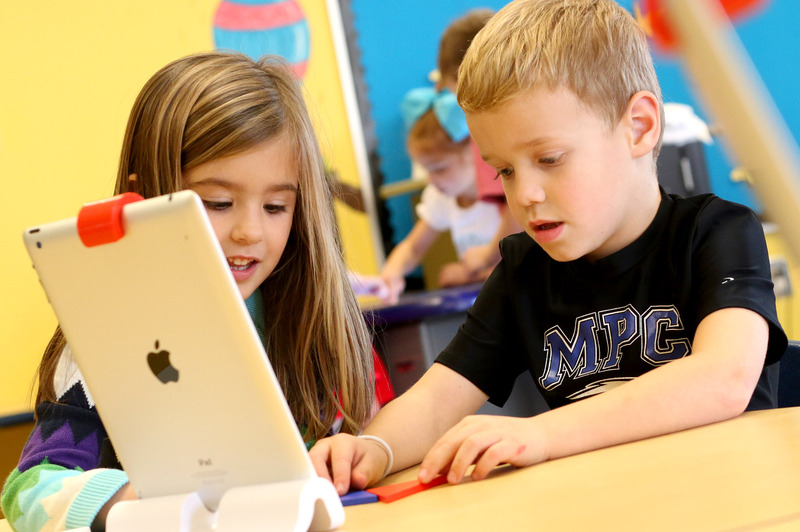 Children master programs which re-enforce letters, sounds, and numeration with colorful and engaging activities using iPads, Smart tables, and Osmo systems. Every week the certified P.E., visual art, music, and Spanish teachers impact learning by teaching specific skills which support the students' growth in gross and fine motor development. Skills such as eye-hand coordination, ability to focus, attending to a task, building stamina, and cross-body movement are incorporated to develop the early learner’s brain. Visual and tactile exploration within the classroom help to engage and develop young minds. 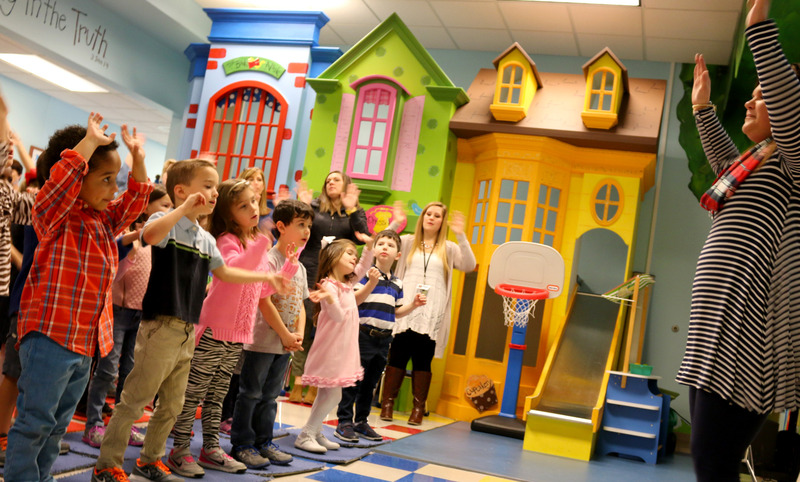 In addition to these opportunities, preschoolers worship in weekly chapels. Students are thrilled when MPCS high school students assist and mentor children in the classroom. With tuition less than many day care programs, MPCS provides a truly unique experience that many parents describe as "priceless." We invite you to visit the Sewell Cottage to experience first-hand the joy, love, and engagement that takes place in our preschool classrooms every day. Shea Buehler has a Masters in Educational Leadership, is gifted-certified, and serves as the Director of Preschool at Mount Paran Christian School. Susan Laton teaches Advanced Pre-K and is gifted-certified. Shaunda Brooks is the MPCS Director of Admission. Founded in 1976, MPCS is fully accredited (SAIS/SACS/AdvancED) and located near Kennesaw Mountain on a 68-acre collegiate-like campus. YES! I want to visit! We would love to meet you at an upcoming tour. Please RSVP below. Mount Paran Christian School is a private Christian day school for preschool through grade 12, located in Kennesaw, GA. Providing academic excellence in a Christ-centered environment, MPCS unites with home and church to prepare servant-leaders to honor God, love others, and walk in Truth.